Herd immunity is a concept by which an infectious agent can no longer spread across a population because a sufficiently large percentage of individuals have immunity, either from a history of exposure to the wild-type of the infectious agent, or due to acquired immunity from vaccination with a vaccine designed to protect against the wild-type. From an individual perspective, herd immunity can afford protection to one who is not immune. This type of immunity exists within populations to varying degrees depending on the number of individuals who are immune to the infectious agent. Other factors that influence the spread of pathogens include attributes of the infectious agent, attributes of the vaccine, the route, mode and rate of transmission of the infectious agent, the lethality of the infectious agent, and the diversity of types of the specific pathogen for which immunity is sought. Regardless of whether immunity is achieved via a vaccine, or via natural infection, the total percentage of individuals who are immune can have an effect of slowing down the rate of spread of infection via natural transmission. 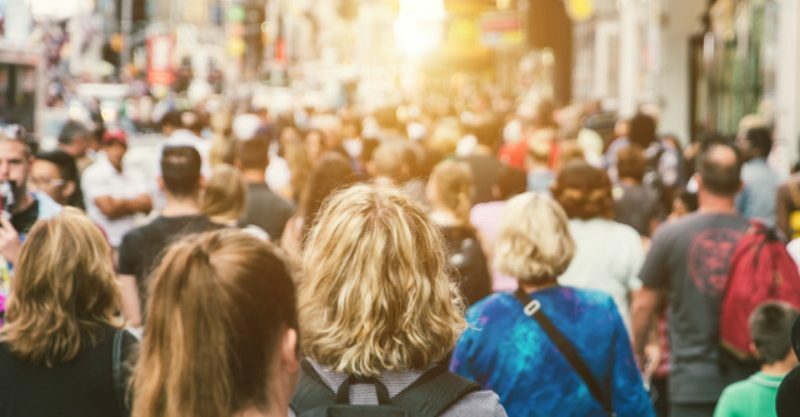 Herd immunity is sought, in part, due to concern over individuals who are immunocompromised because they are more likely to contract a circulating pathogen in a population in which the infectious agent is relatively free to spread. It is generally thought that there is an inverse relationship between the percentage of a population that is immune, and the chance that a person who is not immune will come into contact with an individual who can transmit the virus. Unless there is a natural reservoir, herd immunity can be a factor that can contribute to the eradication of infectious agents. In most mainstream descriptions of herd immunity, the contribution of natural immunity is diminished, or not even mentioned, as the individuals are counted as part of the percentage that have been infected. However, the statistic of interest to epidemiologists tracking the spread of infectious disease is the number of new transmissions, so any individual who has recovered from a previous infection, and who is now immune, most typically does not represent a source of potential new infections. Individuals who have natural immunity, whether via natural infection, or passive immunity in babies who acquire their mothers’ antibodies, all contribute to a reduction in the rate of occurrence of new transmissions. Some viruses and bacteria however, are inherently capable of re-infecting, either because they rapidly evolve (such as the cold virus, or the influenza virus), or there are many types (such as HPV), or because they result in a poor or non-specific immune response. The determination of the benefit of widespread vaccination for any vaccine must consider not only the ability to protect those at risk, but also the downstream costs due to vaccine injuries. 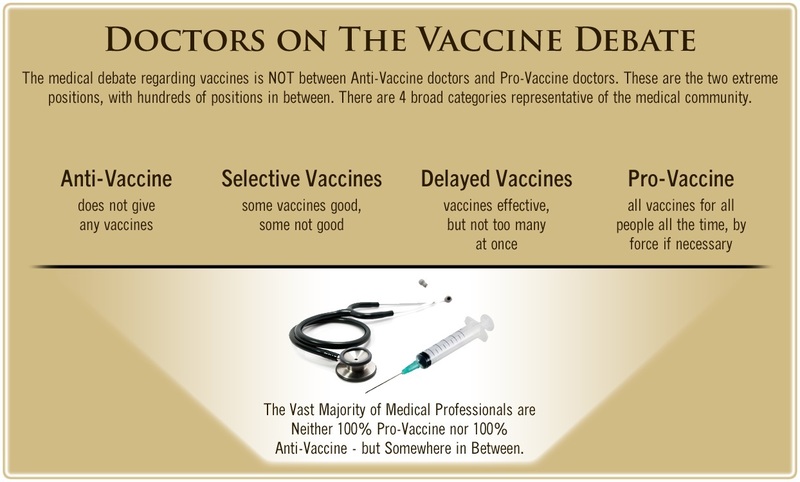 Efficacy of specific vaccines vary, and thus a difference exists between the rate of vaccination and the rate of immunization. This difference is one of the reasons why there can be no one fixed rule for percentage of vaccination rate required to achieve sufficient herd immunity. the nature in which vaccination is conducted. When only an identifiable segment of the population is at risk of acquiring an infection, such as is the case for Hepatitis B, targeted vaccination can be an effective means of control. The determination of the benefit of widespread vaccination for any vaccine must consider not only the ability to protect those at risk, but also the downstream costs due to vaccine injuries. The calculations used to bring a Hepatitis B full-population (mass vaccination) program forward did not include any explicit determination or estimation of the cost of Hepatitis B vaccination beyond the cost of the vaccine units themselves. Vaccine injury is a poorly-studied factor that can directly impede the ability of vaccines to contribute to herd immunity. 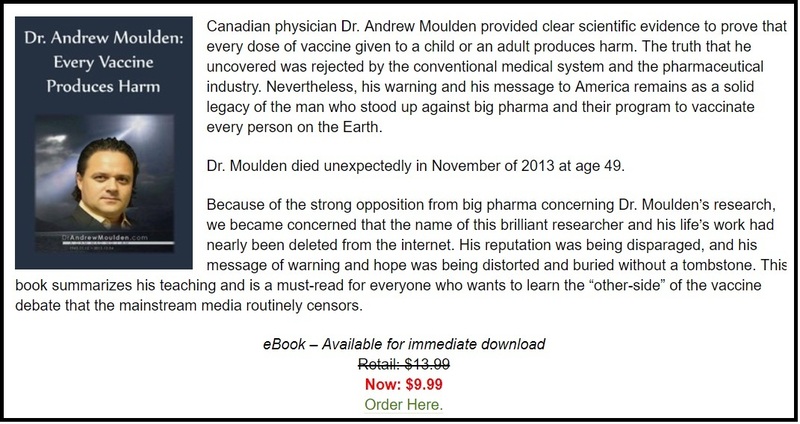 Obviously, a vaccine that imparts a higher risk of injury than is relayed to the public, either due to weak, poor, or fraudulent vaccine safety science, will cause a manifestation and realization of that risk, which then will be shared across news media outlets (1980s-late 1990s) and, with mainstream media afraid of losing advertising revenue from direct-to-consumer marketing, via social media outlets (late 1990s-present). For example, widespread vaccine injury reports by thousands of parents including immediate (same or next day) symptoms such as seizures, screaming, head-banging, loss of verbal communication, etc. 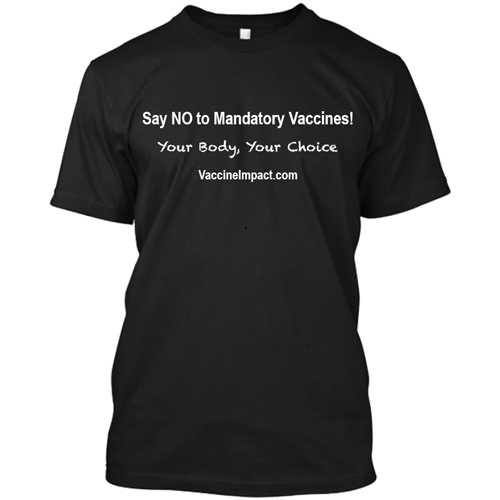 have contributed to vaccine hesitancy. This will reduce vaccine uptake, thereby limiting the ability of that vaccine to contribute to herd immunity. Such has been the case now for many vaccines currently on the CDC vaccination schedule. The cause of the inability of the vaccine to contribute to herd immunity in these cases results from clearly misleading information on the safety of the product, magnifying distrust. Some vaccines come with warnings that those receiving the vaccine should not go near infants who have not been vaccinated against that infectious agent. This is the case of vaccines against the Bordetella pertussis bacterium, which causes whooping cough (a treatable respiratory disease). More than 95 percent of U.S. children receive three or more doses of pertussis vaccines, while less than 1 percent are completely unvaccinated. Because of this, we usually find that most pertussis occurs among vaccinated people. This does not mean that the vaccine doesn’t work, it just means that most people are vaccinated but protection wears off. The cyclical pattern of pertussis provides a classic example of mass action dynamics…. Consideration of age-dependent transmission has suggested a slightly lower estimate, 88 percent, assuming no waning of immunity…. Given that these herd immunity estimates are higher than most estimates of the protective efficacy of a complete course of pertussis vaccine… and that there is evidence of waning vaccine-derived protection… it appears that eradication of this infection is not currently possible by childhood vaccination alone. Vaccination of those most at risk of being infected is considered to be the most efficient use of herd immunity. These strategies are sometimes called “bubble” or “ring” (around an outbreak) and cocoon (around an individual) vaccination. The CDC recommends cocoon vaccination for infants for pertussis, leading to new vaccination of individuals who will be near the infant shortly after birth with the DTaP/TDap vaccine. This recommendation persists in spite of the findings of epidemiologists who reported in 2012 that to prevent one infant death, one million parents would have to be vaccinated. Fear tactics—such as the Glaxo Smith Kline ad featuring a new grandmother, supposedly not recently vaccinated with TDap, turning into a wolf—are used to aggressively promote the cocooning strategy. The vaccination paradigm holds that a specific percentage of vaccinated in a population will bring about herd immunity fails at 95 percent in part because people who are vaccinated lose their immunity. With acellular pertussis, the immunity is lost fairly quickly; one study in 2005 found that adolescents who were schedule-compliant for pertussis vaccination only had 73% effectiveness within one year of the final booster, and that the effectiveness rate dropped to 34% within two to four years. Compared to natural immunity, which lasts four to 20 years, the pertussis immunization program cannot be expected to contribute to herd immunity as well as vaccine proponents would have us believe. Dr. James Cherry, in a commentary accompanying the Acosta et al. study, found the results, which he calls “vaccine failure”, “disappointing” and pointed out that case-control studies tend to inflate efficacy. Vaccines other than the TDap/DTaP have been developed with high efficacy. Why have these not been brought forward? Combined vaccines have caused gridlock on improvement in terms of both safety and efficacy, and this gridlock has lead ACIP and CDC to adopt unsafe strategies. Unfortunately, the failure of the proposed ten-year booster TDap program resulted in calls for vaccination with TDap during pregnancy—each pregnancy. For a vaccine to be administered to pregnant women without adequate safety data is, in my view, nothing short of medical malpractice. Pertussis vaccination during pregnancy was actually put into policy with zero safety data. The use of TDap during pregnancy was recommended by the CDC in 2013—before, even as they admitted, sufficient safety testing was available. The subsequent and few vaccine safety studies conducted for TDap during pregnancy focused primarily on maternal outcomes, and have not properly accounted for fetal deaths (e.g., excluding cases of spontaneous abortions). Maternal immune activation is especially problematic for brain development. and yet they still recommend TDap in each and every pregnancy. The use of an absence of evidence as evidence of absence belies an approval bias that reaches outside the realm of science. And herein we see the same logical fallacy that CDC has been using since 2004 to have vaccines approved. In a study earlier this year, Perry et al reported that 3% of women who received TDap during a pregnancy were not likely to accept another TDap during subsequent pregnancies due to responses to the first dose. However, they also noted that maternal reactions following receipt of TDap are common: two-thirds of the study population had noteworthy negative reactions. ACIP Wants Three Doses of MMR? What For? 19% Efficacy? In their anti-trust case against Merck, two whistleblowers have asserted that the actual efficacy of the MMR vaccine against the wild-type mumps virus may be as low as 10%. ACIP recently recommended a third dose of MMR to help stem the growing number of mumps outbreaks across the country. For over a decade, mumps outbreaks worldwide have involved—almost exclusively—vaccinated individuals. In an article reviewing the Merck fraud case, Dr. Paul Offit, MD is quoted as “believing” that all young people should be required to get a third MMR dose before entering college. This “belief”, like ACIP’s “belief” that TDap would be safe during pregnancy, is not science-based. Based on Merck “science,” MMR is claimed to have a two-dose “efficacy” of 80-85% (“efficacy” is in quotes because this is for the vaccine strain, not the wild type). If the whistleblowers’ allegations are correct, under a naïve model in which repeated vaccination increases immunity in the previously vaccinated at the same rate as the unvaccinated (a dubious but best-case scenario), my calculations tell me that the expected population-wide efficacy of MMR against wild-type mumps after three doses is 14.5%. To achieve the reported immunity (85%), individuals would have to receive a stunning 14 doses of MMR. If the single-dose efficacy is 68%, four doses are needed to achieve 85% overall efficacy. Note that even this falls short of Merck’s goal of 95% efficacy to achieve herd immunity. Clearly, if TDap/DtaP is a failed vaccine, MMR is an absolute blunder. So, what have we learned about herd immunity from admitted failures such as the TDap/DTaP vaccination program and ongoing mumps outbreaks within vaccinated populations? A meta-analysis in 2015 estimated that assuming 85% efficacy, in every additional year after the last dose of DTaP, the odds of infection increased by 1.33 times and that only 10% of children vaccinated with DTaP would be immune to pertussis 8.5 years after the last dose. Reviewing last year’s Harvard mumps outbreak and the current outbreak at Syracuse University, nearly all the students diagnosed with mumps had been “properly vaccinated” against mumps with the MMR. Given that the only solution offered to us from the CDC is more boosters, I would say that we have not moved or improved in artificial immunization—at least against B. pertussis or mumps—in decades. There are calls for lifelong adult boosters against pertussis to “increase herd protection” as if that is still (or ever was) a viable concept when considering pertussis. 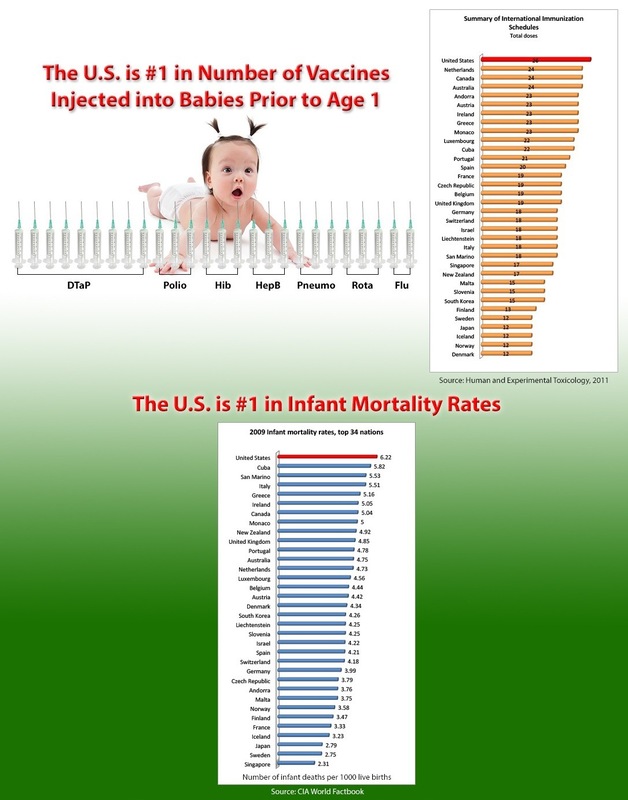 The US leads all industrialized nations in the rates of deaths of infants on the first day of life. Starting in 2011, there were more fetal deaths than infant deaths in the United States (National Vital Statistics Report, CDC), and the rate of maternal death during pregnancy is skyrocketing, beyond all western countries. One study in the Lancet reported a rate of 26 deaths per 100,000 pregnancies in the US. 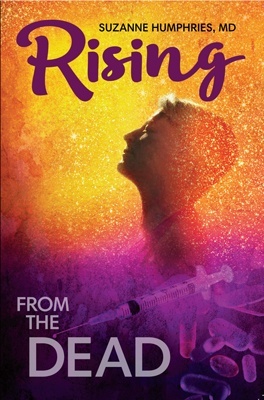 We have also learned that the vaccine industry, including the CDC, will continue to allow society to expend time, energy and resources on demonstrably failed vaccine programs, ambivalent to the risks of adverse events associated with each and every vaccine, and that they will desperately try to move the goal post of performance, or ditch their vaccination efforts onto another unsuspecting segment of the population without sufficient safety testing. Dr. James Lyons-Weiler, PhD is the author of several books, including Ebola: An Evolving Story, Cures vs. Profits: Successes in Translational Research, and The Environmental and Genetic Causes of Autism. He is the CEO and Director of IPAK, The Institute for Pure and Applied Knowledge, a not-for-profit pure public charity research institute focused on the reduction of human pain and suffering. You can support IPAK and its various projects, studies and initiatives at ipaknowledge.org. You can read more of Dr. Lyons-Weiler’s analyses at jameslyonsweiler.com and find his peer-reviewed publications at PubMed. Cabrera-Maqueda JM et al., 2017. Optic neuritis in pregnancy after Tdap vaccination: Report of two cases. Clin Neurol Neurosurg 160:116-118. doi: 10.1016/j.clineuro.2017.07.002. Cherry, JD. Epidemic Pertussis and Acellular Pertussis Vaccine Failure in the 21st Century. DOI: 10.1542/peds.2014-4118. Centers for Disease Control and Prevention. Updated recommendations for use of tetanus toxoid, reduced diphtheria toxoid and acellular pertussis vaccine (Tdap) in pregnant women vol. 622013, Advisory Committee on Immunization Practices (ACIP) (2012), pp. 131-135. Fine, PEM. 1993. Herd immunity: History, Theory and Practice 15:265-302. Henderson JT, Whitlock EP, O’Conner E, Senger CA, Thompson JH, Rowland MG. 2014. Low-Dose Aspirin for the Prevention of Morbidity and Mortality From Preeclampsia: A Systematic Evidence Review for the U.S. Preventive Services Task Force [Internet]. Rockville (MD): Agency for Healthcare Research and Quality (US); 2014 Apr. Knuesel I et al., 2014. Maternal immune activation and abnormal brain development across CNS disorders. Nat Rev Neurol. 10(11):643-60. doi: 10.1038/nrneurol.2014.187. Layton JB et al., 2017. Prenatal Tdap immunization and risk of maternal and newborn adverse events. Vaccine. 35(33):4072-4078. doi: 10.1016/j.vaccine.2017.06.071. McGirr, A, Fisman, DN 2015. Duration of Pertussis Immunity After DTaP Immunization: A Meta-analysis. Pediatrics. 135 (2): 331–343. PMID 25560446. doi:10.1542/peds.2014-1729. Missault S 2014. The risk for behavioural deficits is determined by the maternal immune response to prenatal immune challenge in a neurodevelopmental model. Brain Behav Immun. 2014 Nov;42:138-46. doi: 10.1016/j.bbi.2014.06.013. Perry J. 2017. Patient reaction to Tdap vaccination in pregnancy. Vaccine.35(23):3064-3066. doi: 10.1016/j.vaccine.2017.04.043. Skowronski DM et al. 2012. The number needed to vaccinate to prevent infant pertussis hospitalization and death through parent cocoon immunization. Clin Infect Dis. 2012 Feb 1;54(3):318-27. doi: 10.1093/cid/cir836. Epub 2011 Dec 8. Wendelboe, A et al., 2005. Duration of Immunity Against Pertussis After Natural Infection or Vaccination. Pediatric Infectious Disease Journal: May 2005 – Volume 24: S58-S61. Zepp F, Heininger U, Mertsola J, Bernatowska E, Guiso N, Roord J, Tozzi AE, Van Damme P. 2011. Rationale for pertussis booster vaccination throughout life in Europe. Lancet Infect Dis. 11(7):557-70. doi: 10.1016/S1473-3099(11)70007-X.